Have you, like many other deployers, chosen to keep your OS/2-based ATMs despite the changes in the ATM world over the last decade? Then you have been facing a number of limitations that make operating the remaining OS/2-based machines increasingly difficult, partially due to issues that remained unsolved when IBM withdrew OS/2 from the market, partially due to the development in hardware. eComStation addresses these issues and enables you to protect your investments. 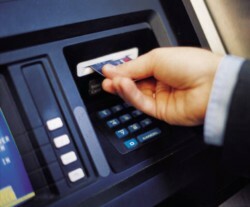 It helps you to overcome the status quo and prolong the life of your OS/2-based ATM fleet by reducing maintenance efforts, strengthening security, improving the user experience, and providing a base for generating additional income. Developed based on the last version of IBM OS/2, Warp 4.52, eComStation provides you with OS/2's strengths like stability, security, and a low maintenance profile. The included tools for remote administration reduce the need for costly on-site maintenance significantly. The user-interface can be easily adjusted to resemble that of previous OS/2 versions to keep your training costs at a minimum. The broad range of supported networking methods ensures excellent networking interoperability even if you are operating very heterogeneous networks. De facto, eComStation is not susceptible to viruses. A strict policy of not running any non-essential services and an integrated firewall protect your systems against attacks. eComStation includes all fixes and updates for OS/2 that have been released by IBM, eliminating the need for time-consuming updates. A combination of updates to the system and drivers enables you to perfectly operate eComStation on both modern and legacy hardware out of the box, including storage, networking, video, and audio devices. No boot diskettes are required anymore. A new boot method ensures maximum compatibility with both modern and legacy hardware. The new installer provides you with full control over the components. Unattended installation is possible via CID. Support for high-resolution color displays, font anti-aliasing, video playback, and audio output does not only provide you with a base for a much improved general user experience but also for the implementation of advanced CRM and marketing functionality. Plus Adobe Flash is available, too. XEU.com BV can supply you with eComStation licenses for years to come, whereas OS/2 is no longer available for purchase.